The Communications Section is staffed by special constables under the supervision of a Communications Sergeant. 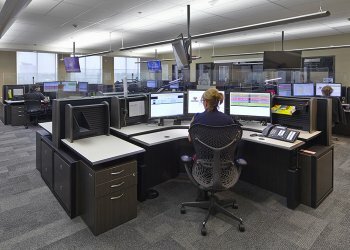 The special constables are responsible for call-taking 9-1-1, non-emergency lines, and radio dispatch. Communications special constables work 12 hour shifts and are assigned to a platoon. Communications is a vital part of the Saskatoon Police Service. Its members are usually the first contacts a person has with the police. They are highly trained in call-taking, dispatching and dealing with stressful situations. If you are interested in a highly rewarding career, see the Recruiting/Special Constable Positions on this website.